Drones have many uses that we’ve all heard of and seen before, but this is definitely something you wont come across on a daily basis (unless you live in China). A power company based in Xiangyang China has decided to create potentially the coolest and scariest looking drone around. 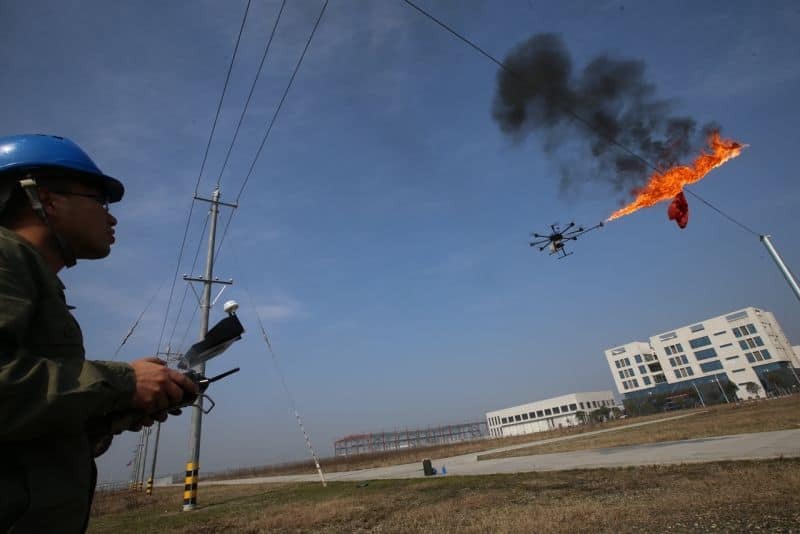 They’ve attached a flamethrower to what looks like the DJI S1000+, to create this terminator like monstrosity. 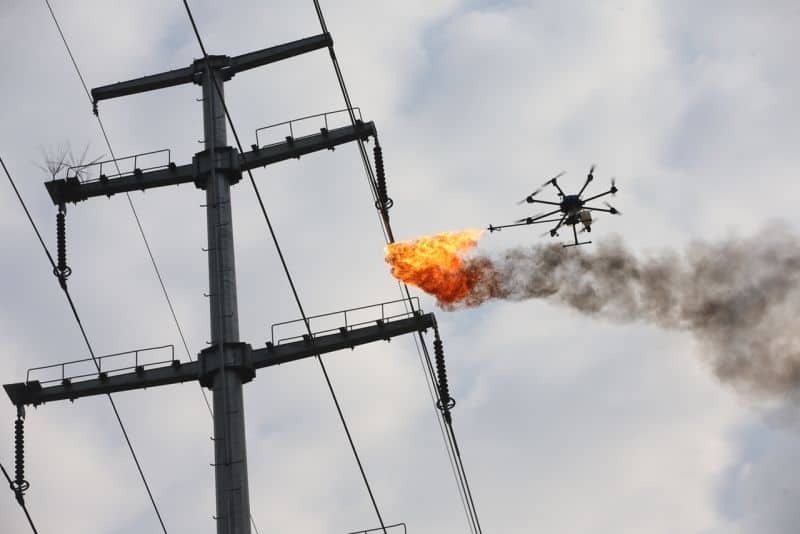 Their aim was to fly the fire-wielding drone up to the high voltage power lines that are hard to reach and burn away rubbish that may have got attached to them. As cool as this looks, don’t go sticking a flamethrower on your DJI Phantom any time soon; you’d probably break a few health and safety laws.